Having the great fortune and gift of an artistic spirit and completing metalsmithing classes, Susan realized that designing, forging, hammering and sculpting little pieces of wearable art was to become her passion. 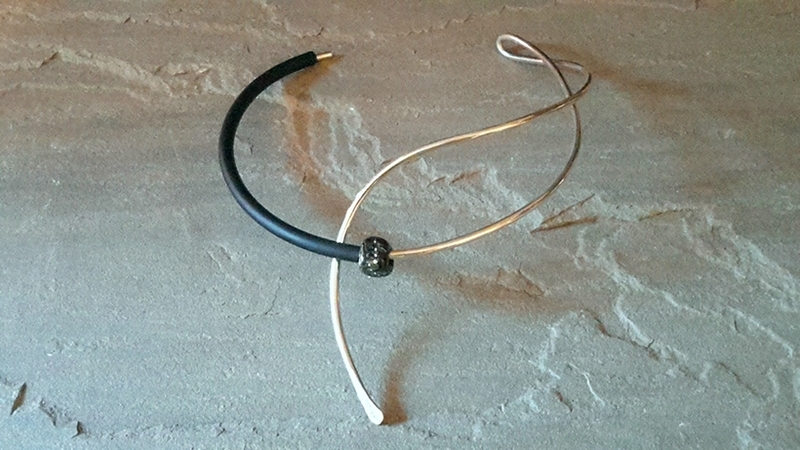 Susan Riach Designs' unique jewelry creations in sterling silver are bold, strong and contemporary, yet make a simple, classic and elegant statement that complements the flow and contours of the body. Susan takes her inspiration from the organic and architectural elements which surround her and designs from the simplicity of the soul. Her unique creations are recognized and noted for their natural flow, which has evolved with further influence from her longtime practice and dedication to yoga. 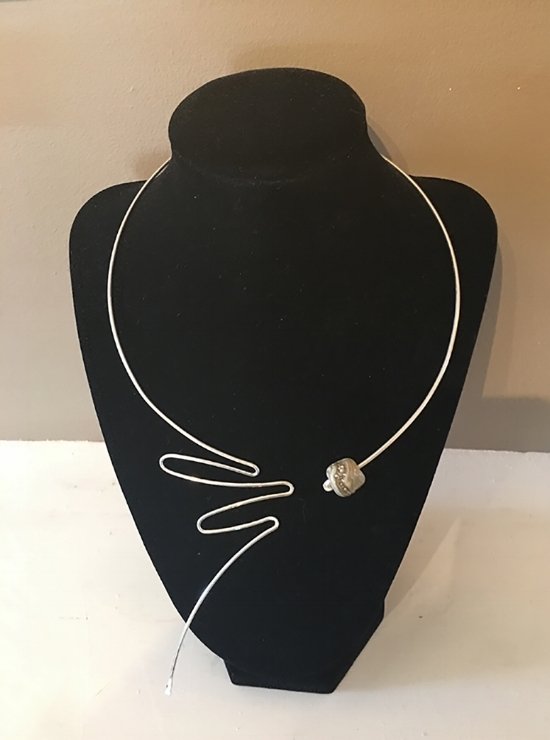 Susan trained in metalsmithing at Metalwerx, in Waltham, MA; continues with classes and workshops at the League of New Hampshire Craftsmen, as well as other venues throughout New England. She works closely with Sussy-Rose Shields, a brilliant instructor, jeweler and mentor, in her studio in Wilton, New Hampshire. All of Susan's jewelry comes with a polishing cloth for keeping it fresh and clean, and a pouch for storing.